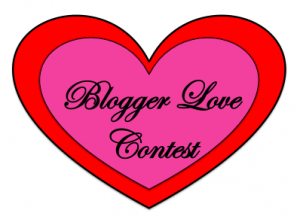 The “We Heart Bloggers” Contest ran throughout the month of February, 2011, to celebrate bloggers across the blogosphere. Bloggers were challenged to write a post using one of these 125 Blog Free Titles based on childhood concepts and to tweet it using the #BloggerLove hashtag. Each of the nineteen submitted entrees is a gem its own right. Big tip of my hat to everyone who wrote a post and tweeted it with #BloggerLove. While the contest winner was randomly chosen, you are all winners in my book! Here are the nineteen posts. Please take the time to sample them. The entries are in date and then alphabetical order from the first to the last. Hat tip to Barbie who doesn’t look bad for her 51 years of experience. She inspired Dana’s four life lessons. I would have loved to see an original Barbie! Brian’s blog focuses on games but he uses the game Twister to share some good old-fashioned blogger love by writing about gaming bloggers he likes. Need a new topic for your blog post? Why not share some blogger love of your own? This post plays on the childhood game of Follow the Leader as it relates to business. It’s part of the #UsBlogs’ How to be a leader in the 21st century challenge. Here are ten lessons worth paying attention whether you’re on Twitter or not. Tom used his high school education as inspiration for this post. Check out the image it will give you some insight into Tom’s background. It was part of the #UsBlogs’ How to be a leader in 21st century challenge. This column is a riff on the fairy tale notion of getting married to Prince Charming. It’s appropriately published on Valentine’s Day. It also uses other media to keep the mix intriguing. This is a fun post about who’s really an expert and how to make complex ideas easy to understand. With Dr. Seuss how can you go wrong with this one? Dana compares social media to building a sand castle (and the one in the picture accompanying her blog is worth checking out!) I liked this post because it took sand castles that I’d see as something that was made to be destroyed and show them to be important structures. Karen used this post to talk about how she was inspired by books. The reality is that she could have gotten more titles into this one post. It’s worth reading to see how she includes personal details and brings the reader to the present. This post grew out of a conversation on #UsGuys. Robert took the idea and ran with it. As a poem from high school reading lists, it’s on the margin for this contest. But take a read, it’s amazing poetry and in metered rhyme and it’s about social media metrics. WOW. Are You Making Chess Moves? Parissa uses chess as a means to talk about having a plan for your business. She also brings in the children’s game Twister (Another #BloggerLove title) where, unlike chess, you have no plan. Check out her post to see how she’s used a QR Code for her LinkedIn page. Way to go! Inspired by this year’s snow, Beverly’s post is about the freedom of snow days because they’re unplanned holidays (if you don’t telecommute!). If nothing else, check out the photos. How Dr. Seuss Helped Me Go to Great Places! Margaret uses Dr. Seuss as a means for gaining confidence and who wouldn’t want that. Sarah took this title and used it to talk about website design and her clients. What can you do to promote your clients? Paula uses her post to talk about her fears about an upcoming surgery and how important it is to see the world in all of its beauty, not just black and white. Regardless of what’s happening in the world, and these are unusual times, each of us still has a life to live. Daria had so much fun with her first post that she wrote another one. And who didn’t hear this at least once growing up? Take a peek because it’s a mom’s eye view of the pros and cons of being the “bad guy” in your family. Renee’s post puts the idea of coloring inside of the lines on its head by talking about conformity. It’ll will encourage to change how you view the world. Mark uses Maurice Sendak’s children’s classic “Where the Wild Things Are” as the basis for his post. But don’t be fooled, there’s nothing childlike about this post. It focuses on the deeper meanings of a young man’s journey and post is filled with literary references. Do Customers Want Green Green Eggs and Ham? To show that I could play by my own rules, here are my three entries. While they didn’t qualify for the prize, they’re useful lessons in how to adapt a topic in a different direction. Sometimes forcing yourself to use a given title or topic helps your creative juices by channeling them. Part of the #UsBlogs focused on the topic of leadership. Shows how the children we met in school still influence our lives. Another #UsBlogs entry on the topic of Klout, one of the new social media influence metrics, and offline influence. Even as adults, we still fall back on the image of a reportcard as a means of keeping score. Anytime we need to learn something new, we want to have those training wheels to give us confidence. Who doesn’t remember dad running behind the bike? While we wish that we could give everyone a prize, there’s only one copy of Chris Brogan and Julien Smith’s Trust Agents . So, while my husband reaches into his virtual hat to pick a number, drumroll please…The winner is: Post 12 by Beverly D.
The biggest lesson is that, even if you use someone else’s inspiration, your blog post is uniquely yours. If you’re at a loss for a column idea, use one of these 125 Free Blog Post Titles to inspire you. What wonderful post will you write? As for the #BloggerLove hashtag, we plan to keep it going to regularly celebrate the wonderful bloggers in our midst. Tags blog titles, bloggerlove, bloggers, Contest, Free. Bookmark the permalink. Thanks so much for a great idea! I had fun writing my post and I appreciate the kind words! Thank you Heidi for organizing this – it was a great list of titles and a lot of fun to see what everyone came up with. Thank you for including me!